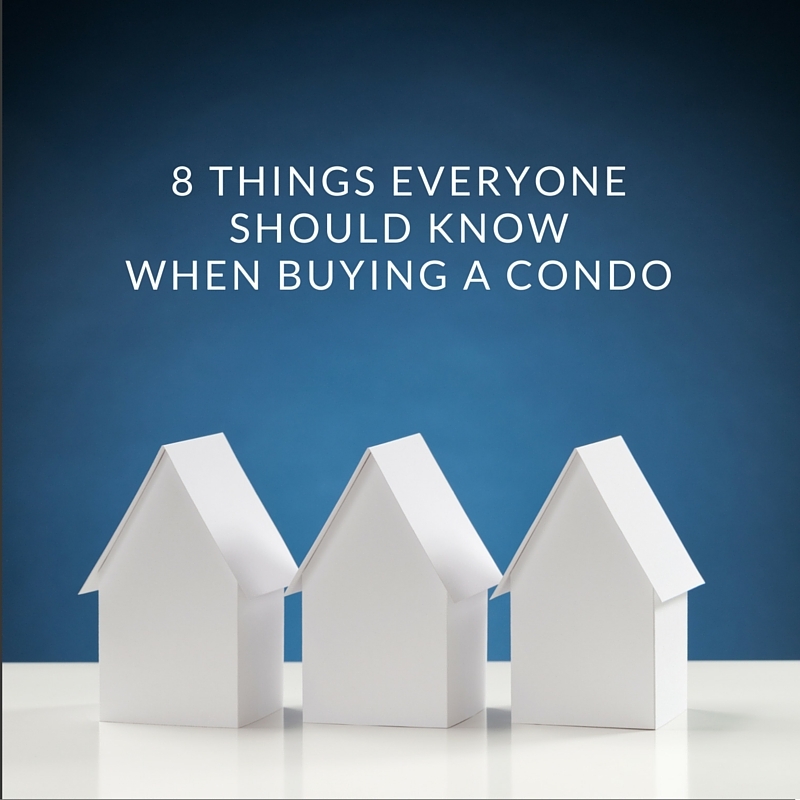 How is buying a condominium different than purchasing a single family home? In some ways, it is very similar, but in others it is radically different. READ HERE >> Condominium versus Landominium — what’s the difference under Ohio law? A condominium unit purchase is primarily acquiring title to a three-dimensional space defined by the interior walls, ceilings and floors of the unit. When you purchase a typical single family home, you own from the “core of the earth” to “the heavens,” essentially a column of area that is shown on a 2-dimensional “plat of subdivision,” and within that column you own all the rights that accompany that purchase, subject only to the subdivision covenants and easements of record. A condominium unit, on the other hand, consists primarily of interior “air space” defined by the interior surfaces of the planes that define the unit. 2. Ownership of common areas. With a condominium, if the unit does not include the foundations, roofs, exterior siding and other improvements of the project, who owns those things? Well, the unit owners own those things as well, but the ownership is “in common” with all other condominium unit owners. For example, if there are 15 buildings in the condominium complex, and 78 unit owners, then the roofs, exterior siding and foundations, parking areas and lots of other common areas are owned in common by all of the unit owners. The owner of condominium unit 6 may also own, for example, a 1.75% interest in the common areas, which means he owns an undivided 1.75% interest in all the common areas. Now, that 1.75% interest does not mean a whole lot (unless the whole project sells someday) except that (i) the unit owner must pay taxes on the value of his unit and on his percentage interest in the common areas and (ii) depending on the language in the condominium documents that may be his percentage share of expenses owed to the condominium unit owners association. 3. Use of limited common areas. General common areas are those portions of the common areas that are designated for the full use and enjoyment of all unit owners, subject of course of the declaration and the rules and regulations established by the Board of the Association. Limited Common Areas, on the other hand, are those portions of the common areas that are designated by the drawings or Declaration as being for the limited use and enjoyment of fewer than all of the owners. Why would that be? Well, let’s say that a condominium project consists of eight buildings, each of which has six units and an interior stairwell. We could restrict the use of that interior stairwell to just those six unit owners. Also, garages, parking pads outside a garage and exterior patios are frequently “common areas,” but common utilization would dictate that they are for the use and enjoyment of just that one unit owner. This right can extend to storage bins in the basement of a building, external parking bays with car ports or just open spots designated for a single unit owner or to a specific building. 4. Extensive “contract” (declaration) by and among the unit owners. Every condominium is formed by two primary documents: (i) The “drawings,” which carefully cut up the property into units and common areas by graphic depictions on paper, and (ii) a “Declaration” that is a lengthy document that constitutes a legally-binding contract by and among the unit owners. As a starting point, it is sometimes difficult for my clients to comprehend that they are parties to a “contract” that they never signed, but under principles of real estate law, provisions of documents that are of record in the Hamilton County Recorder’s office are legally binding contractual obligations of the purchasers of property just as if they had signed the documents themselves. Many condominium declarations will run 75 to 100 pages or more, and each of those covenants in a condominium declaration can be a legally binding obligation upon a unit owner. Limitations on uses of the property, which may include — as just a few examples — not storing business trucks, boats and R.V.s on the property, whether the units can be rented to third parties, and whether business activities (such as a home office or a day care) can be conducted on the property. Creating a a scheme for the determination, assessment and collection of condominium dues. Finally, even though the external appearance is controlled by the association and its board, the association may be concerned with those things done inside a unit that impact the exterior appearance, such as what window treatments are visible from the outside. When you buy a single family home, you are the master of your own estate, subject to federal, estate and local governmental controls and subject to the declaration of the subdivision. But when you buy into a condominium project you essentially are purchasing into a tightly-controlled community governed by a board of directors, which is like a mini-village council for your community. They decide how the common monies are spent, and the rules governing your use and enjoyment of your property. Not always, but generally their rights are pretty expansive as to the application of association monies, and the restrictions on the use of both units and common areas. I have had clients who thought the Board was spending too much — and assessments were too high — and others who thought the Board was spending too little, and common areas were not being properly maintained. I have had unit owners in older sections of a condominium project, which thought the Board was hoarding money to better maintain the newer section someday in the future. And I saw condominium Board enact rules that dogs must be carried through common hallways to avoid their middy paw prints on the carpets (a real hardship for an older female client with an 80 lb dog) and associations enact rules against renting units, when the economics under which my client acquired title planned on rental income. In each of these circumstances, the decision of the Board is pretty much final, or certainly difficult — practically and legally — to challenge in a court of law. 6. The devil is in the details of the reserves. OK, so follow along here. Since you do not own your own exterior siding and roof of your unit, who pays to fix those when they need replacement or repair? The association, of course. Thus, when you buy a condominium unit, the association should be maintaining adequate reserves for the day when, for example, all the roofs need to be replaced. And most associations do. But imagine that you are the new buyer of a condominium unit where adequate reserve have not been set aside for those entirely predictable repairs. Indeed, the pressure on every association board must be to keep those assessments as low as possible. If the reserves are underfunded upon purchase of a unit, then invariably the association will at a later date need to assess everyone for that deficiency, or the project will decline due to poor standards of maintenance, and capital repair and replacement. In other woods, the prior under-assesments, will later become a problem for newer buyers of over-assessments. How does a buyer determine there are in fact adequate reserves. Well, first one should get and review the finances of the association. Buried within those financial documents should be the amount set aside for capital repairs and replacement — a capital reserve. Now, it would take quite a bit of work to establish with every roof, siding, swear and driveway repair what is really needed to avoid a whopping assessment on unit owners, but you can get some idea by :kicking the tires,” and thinking throughout he variables. We understand some associations have conducted “audits” of they reserve accounts with professional assessments of whether there are adequate funds to pay for future anticipated needs. In the property insurance world, there are homeowners policies, that cover the house and the contents, and public liability occurrences (someone gets hurt on the property) and apartment policies, which cover only the contend and the public liability issues. In a condominium project,the association should be maintaining insurance in the event a fire or wind event damages or destroys the roofs, walls and other common elements. As a buyer, in additional to checking the finances of the association, it is prudent to assure his policy is in place and provides adequate coverages. But what about those physical portions of the “unit” that the owner owns? That is the subject of a special condominium policy with which most property agents are immediately familiar. Read more here about condominium insurance. A unit owner should obtain one. Condominium living is significantly different than single family home ownership in that generally neighbors are living in tighter quarters, they are paying the expense and upkeep responsibilities of their common buildings, and they establish all kinds of rules about how they are going to exist in this new, closer relationship. Condominium living provides tremendous benefits to some, and serious drawbacks to others. It’s a lifestyle choice that’s not for everyone. And it simply is more complicated in terms of your relationships with others than a single family home existence. We encourage our clients to carefully consider the contractual relationship they are entering with others when purchasing a condominium, and knowledgeably enter into that living arrangement rather than be socked with surprises at a later date. Let our real estate team “make a difference” for you in your condominium purchase. Contract Isaac Heintz (513-943-6654), Tracy Hawkins (513-943-6667) or Rick Turner (513) 943-5661) to assist in your sale or purchase.